1. Convert CHM to Adobe Flash based page-flipping eBooks. 2. Import bookmarks (outline) with PDF, and edit them manually. 3. Import hyperlinks with PDF, include web link, page link, email link. 4. Import text so text is searchable, define the minimum search characters. 5. 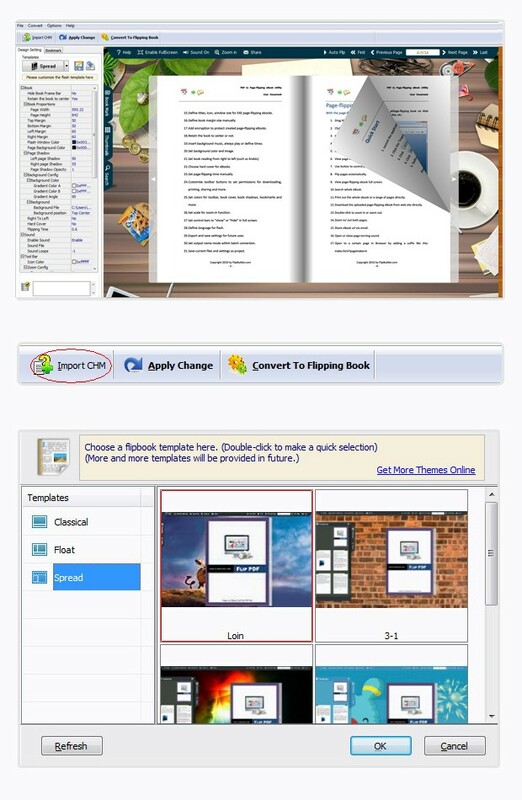 Add watermarks text, image, dynamic date/ time etc to page-flipping eBooks. 6. Define quality and size for normal version and mobile version. 3. Burn to CD allows you to burn to disk so you can send your user physical media for viewing on their computer. Qweas is providing links to Flip CHM 1.2 as a courtesy, and makes no representations regarding Flip CHM or any other applications or any information related thereto. Any questions, complaints or claims regarding this application Flip CHM 1.2 must be directed to the appropriate software vendor. You may click the publisher link of Flip CHM on the top of this page to get more details about the vendor.